The holidays are a time filled with memories we have made with family and friends. 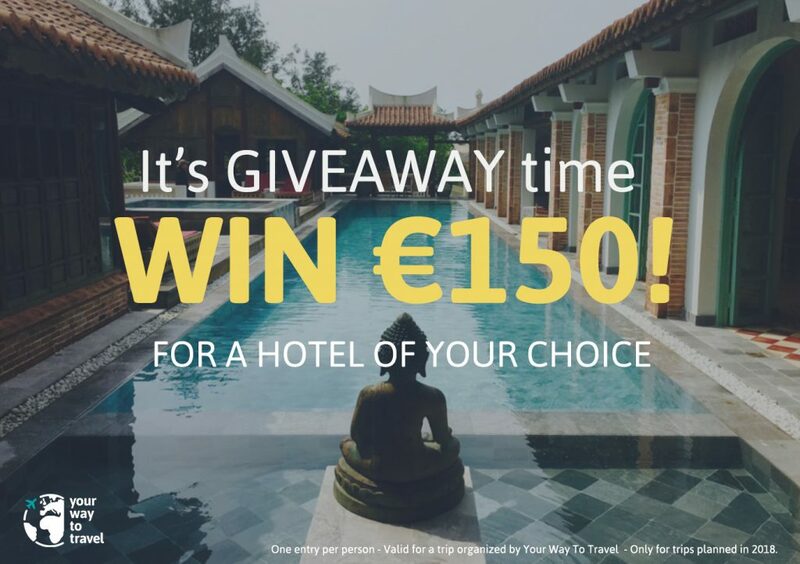 Share your favorite holiday memory with us and enter for a chance to win a €150 voucher to be used at a hotel of your choice. Like our Facebook page (in case you haven’t done yet). Leave a comment on our Facebook giveaway post describing your best holiday memory. Feel free to include a picture as well! Include the hashtag #yourway2travel in your comment. The contest starts on Dec, 13 (12h CET) and ends on Dec, 20 (12h CET). The winner will be announced on this page upon completion of the contest. One entry per person. Participation is limited to individuals from eighteen (18) years old or older. Valid for a trip organized by Your Way To Travel. The entrant can redeem the voucher only when booking a trip with Your Way To Travel. Valid from Jan, 1st to Dec, 31st 2018. The trip must be booked within this time frame. By entering the Sweepstake, you accept and agree to be bound by these official rules, including the interpretation of these, which shall be final and binding in all respects.